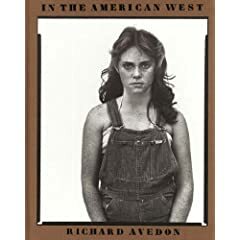 Richard Avedon's "In the American West". This is quite simply an inspiring piece of work. Avedon's images are by now legendary, and with just cause. Upon opening this book, it is like opening a window into the soul of humanity. The exquisite detail in the prints and the attention to detail in the photography encourages you to lose yourself in this remarkable book. David Bailey's "Locations - The 1970's Archives". Bailey made his mark as a fashion photographer in London in the Swinging Sixties. However these images display a radical reorientation in his work. 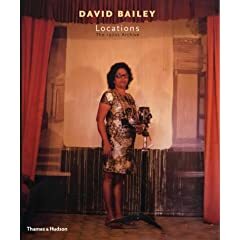 After the success of the 60's for him, Bailey chose to travel the world shooting people and places across the globe that fascinated him. Alongside these pictures, this book includes many of his more famous 70's fashion sittings. This book is well worth having and I shall shortly be adding "Archive One" to my collection too. and John Szarkowski's "The Photographer's Eye". This book has been out of print for some time, and thankfully another reprint has been commissioned. 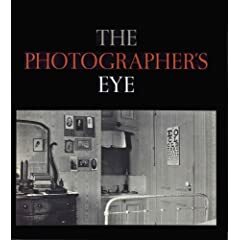 Featuring 172 images covering the entire range of the medium from the early days of Cartier-Bresson, Evans and Atget to the photographers of the mid 60's, this is an invaluable addition to any photography lover's library. This really is a classic, and a must have.